We've put together a list of our most common Recommended Services to help explain why they are an important part of maintaining your vehicle. 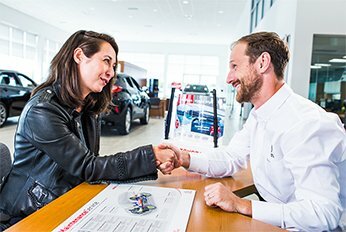 You can also view your vehicles maintenance schedule to see what you are due for by visiting Toyota Canada's Maintenance Schedule. Over time your vehicles brake fluid absorbs moisture. This moisture contamination can contribute to internal corrosion in the calipers, wheel cylinders and steel brake line. A brake fluid service is performed in order to completely remove the moisture contaminated brake fluid and replace it with new brake fluid. 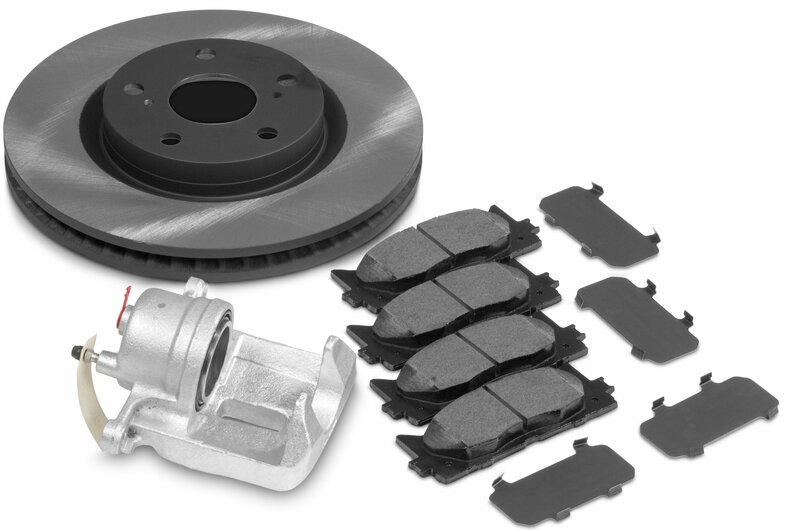 Brakes are one of the most important safety components on your vehicle and require proper maintenance on an annual basis to ensure that they are operating correctly. When you brake, the caliper clamps the brake pad against each side of the brake rotor which creates friction and slows your vehicle. Constant exposure to the elements can result in a rust build-up which can cause your brakes to drag, pulsate and/or abnormal noises. During a brake cleaning service the brakes are taken apart, inspected for wear and the components are cleaned and lubricated. Cabin air filters capture unwanted particles such as pollen, dust, and other pollutants before they enter your vehicle's compartment. A dirty cabin filter restricts the air flow to your vehicles air conditioning, heater and most importantly your windshield defrost. The restriction of air flow greatly affects the performance of these systems. 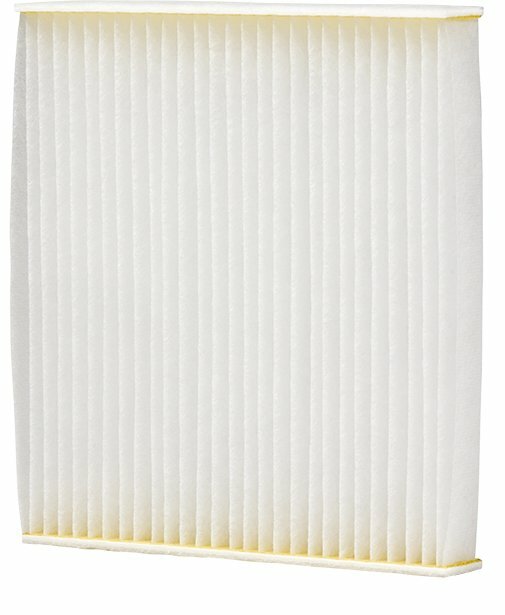 Your vehicles engine air filter prevents harmful particles from entering your engine and causing damage. 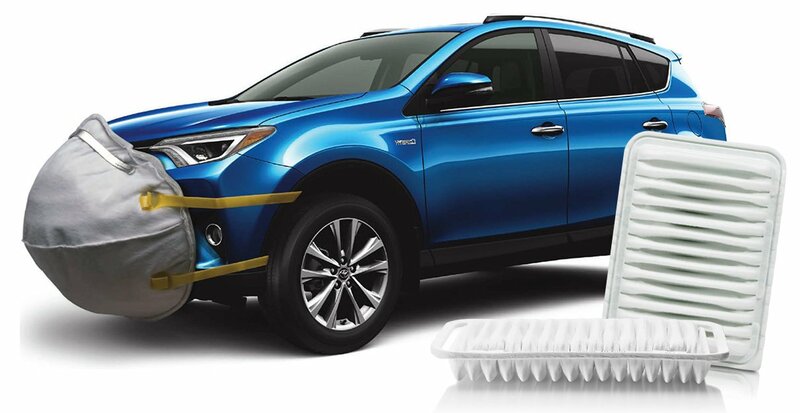 When the air filter gets clogged it starves your engine for air, reducing fuel economy and increasing emissions and ultimately reduces engine performance. Over time the coolants PH levels changes due to the additives in the coolant deteriorating, this causes the coolant to become corrosive and eventually eats away at the metals in the cooling system. The result is expensive damage to the engine and cooling system components. A coolant flush removes old coolant from the engine and cooling system and refills it with new coolant. Your vehicle will consume thousands of liters of gasoline during it's lifespan which results in a buildup of performance robbing deposits on the fuel injectors. Performing a fuel injector service will clean the deposits off the injectors maintaining your engines performance and reliability. The purpose of the Throttle body is to control the flow of the air that enters the vehicles engine. Performing a throttle body service removes the oily deposits built up around the throttle plate and housing, which will help prevent starting and stalling concerns. Your vehicles transmission assists in transmitting the engine's power to the wheels of the vehicle and has many moving parts. During a transmission service the contaminated fluid is removed from the transmission and refilled with new clean fluid. Over time spark plugs will wear resulting in the loss of engine performance. It is recommended to replace the drive belt when it shows signs of glazing or cracking due to excessive wear. Replacement of the timing belt will ensure proper timing of major engine components. This will allow the engine to run properly while extending the life of the engine. When performing this service, we will remove the old contaminated fluid and replace it with new fluid. Early and regular tire rotation is one of the best ways to extend the life of your tires and enhance your vehicles handling. Help ensure the tread wear is even among the four tires. Stresses from every day driving accompanied with the wear and settling of the vehicle suspension and steering components can cause the wheel alignment to change. Damaging one or more tires on an all-wheel drive vehicle may lead to the replacement of all 4 of tires, It is important that the tire diameters are the same size to ensure that they rotate at the same speed. This will prevent damaging the AWD system. Prevents premature tire wear and damage. 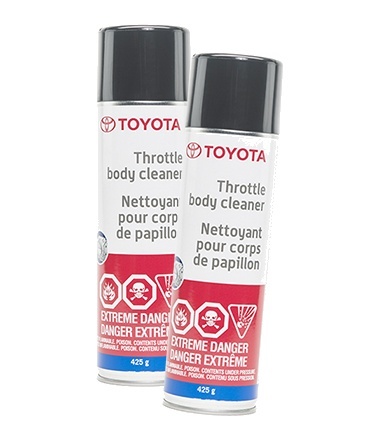 Toyota engineers recommend that your vehicle be thoroughly inspected on an annual basis, when performing a maintenance service your Toyota certified Technician will be changing your engines oil and filter and performing an in-depth inspection of your vehicle. The front and rear brakes are inspected to ensure your safety. 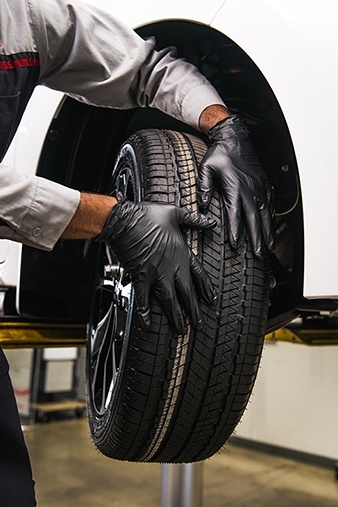 If necessary a no charge tire rotation is performed based on the Technicians inspection. Fluid levels and condition are inspected in order to prolong the life of the critical components of your vehicle. Your battery is tested and a report is provided to you indicate the battery’s current condition, like a light bulb a battery can fail without you experiencing a concern, regular testing will help prevent unexpected breakdowns.